Over the last couple months several exciting things have developed in Deep Roots New Seasons (DRNS). Some great construction progress has been made, God has once again shown his abundance in unexpected ways, and he has given new clarity for stewarding the little piece of earth we know as 112 Medina St.
Much of May was devoted to the removal of asbestos-containing materials in the southern half of the building (the wing including the Parish Hall). It was so gratifying to see tangible changes happening to the space. The process of this removal, as you might imagine, is highly regulated to ensure proper removal and disposal. It was quite a sight to see containment areas reminiscent of E.T. the Extra-Terrestrial in the building in which people were performing back-breaking demolition in hazmat suits. 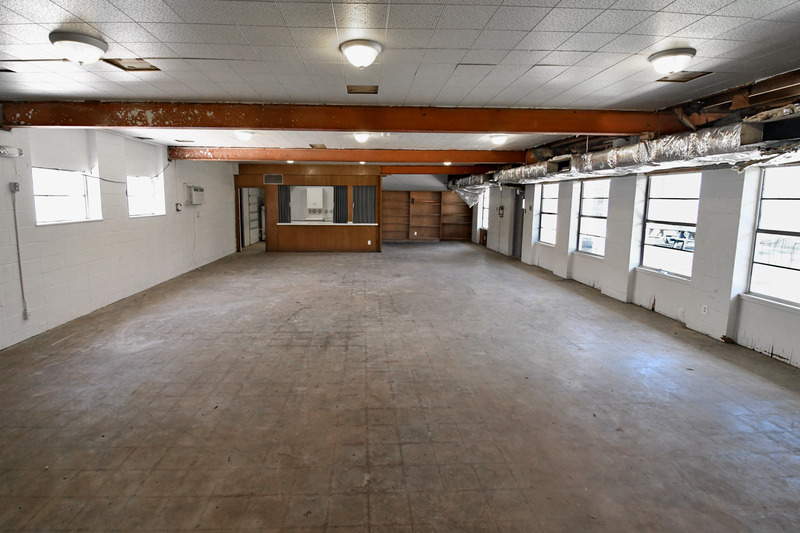 As you can see in this photo, all the flooring and portions of the ceilings have been removed; ready for the general contractor to get started! Through the entire DRNS capital campaign God has been gracious, through your sacrificial giving, by providing the funding to reimagine the 112 Medina property. A recent iteration of God’s provision came through an unexpected pledge of $100,000 towards the DRNS general fund. In addition, another substantial gift was given to enable a greater and more beautiful expression of the courtyard renovation. Isn’t God good! I am really energized by this new possibility to express God’s artfulness through the courtyard design. If you want to jump in on giving towards DRNS, we invite you to consider what God is doing amongst us, and respond. Please contact Bryson Owen for more information (bryson@christchurchofaustin.org). Christ Church has partnered with A Rocha USA, an environmental conservation organization, to give us expert and Kingdom-centered lenses through which we can see 112 Medina Street. There are many ways you can name this location – legal subdivision, longitude and latitude, street intersections, neighborhood designation – the list goes on. But, before we devised our own complicated names, God called it “good.” He called the land and all the life upon it into being, and created us as stewards. A Rocha presented a detailed ecological assessment of this urban spot in June, helping us focus on a long view of caring for creation; starting at the foundation of the ecological chain, the plant life, contributing to a healthy base for the flourishing of native species of creepy-crawlies, birds and many others. I’m really excited for us to commit as a community to helping the land mature over the next couple of decades through God’s provision and our stewardship. Finally, I am so thankful to God for how he has gifted our parish with people like Kit and Debra Johnson, Mark Purcell, Dallas Lam and Kensie and Brennan Scully (skillful box packers and movers) among many others, who are expertly guiding us through such a unique time in Christ Church’s story. Please pray continually that God will show us how he loves where we live.